Landlords have a moral responsibility, if not a legal one to make their tenant’s home as safe and secure as possible from intruders and burglars. Spree burglaries – where homes in more affluent areas are targeted by criminals. Instead of old-style sprees, which involved many and any houses over a wide area being targeted in an opportunistic way, 2018’s spree burglars target just a handful of more prosperous neighbourhoods, specifically choosing those streets and properties which they think will yield the greatest value spoils for their efforts. These burglars tend to work in groups, spending time in the area ahead of their crimes, identifying suitable properties and checking out the security measures in place. Often one group commits the crime whilst another patrols the area in a car, keeping a lookout. Violent burglaries – as the UK national press and BBC have been reporting over recent weeks, burglaries have also resulted in homeowners being hurt and even accused of murder after violent struggles between burglars and individuals trying to protect their property and their families in their own homes. Stealth burglars – including the individual dubbed ‘The Night-Watcher’. These are burglars who spend a significant time watching an individual property and waiting before committing a precision and purposeful burglary. Both Hertfordshire Police and the Metropolitan Police reveal a 21% year-on-year increase in reported burglaries (as reported in The Telegraph). Police statistics for England and Wales show reported burglaries increased by 6% in the year 2016-2017. Home office statistics for the year to June 2017 identified that almost 80% of home burglaries are unlikely to be solved. Areas of Derby and South East London have been particularly noted as suffering from this recent rise in rates of burglary and home invasion. Alarming though such information and statistics can be, there’s no doubt that having information about what’s going on can support efforts to prevent problems. Checking out the local crime statistics in your area can be a way of seeing if your own home or business premises is particularly at risk in some way. Rapidly increasing numbers for certain types of thefts can also help you to identify if spree burglaries are starting to come into the area. The Police.uk website offers a useful online tool where submitting your postcode brings up a map. Clicking the ‘explore’ button allows you to see the types of crime being committed in the area each month. The information offered is limited to reported crimes so may not show all crimes such as attempted break-ins which are not always even noticed, let alone reported. Not all reported crimes result are recorded and investigated, especially those deemed ‘low value’ by police (as reported in the Independent). Nine out of ten burglaries reported remain unsolved and less than 10% of stolen good are recovered (Huffington Post). What’s your risk of burglary? Checking the tool above can help you to identify the number of reported burglaries in the local area generally. This knowledge will give you a context for carrying out a security survey of your property or premises, to help you identify any particular vulnerabilities your property has. For example, if there have been several burglaries in the area lately, and your access points have only basic locks, no motion-sensor lighting or alarm system, this may mean your property is at risk through lack of deterrent. But what can you do to actually deter burglars? The simple answer is to use security measures which both make your property less of an easy target and increase the risk potential burglars might face of getting caught. According to ex-criminals in a Co-op Insurance report, CCTV cameras are one of the most effective deterrents. Criminals also indicated that they’re deterred from breaking into properties which have motion-activated security lighting and alarm systems in place. A visible deterrent, as their presence on a property is noticeable. A monitored service which means every alarm trigger is checked and appropriately responded to. Means of identification, as CCTV footage can be used to identify burglars. The fact that burglars know they could be identified, even by what they are wearing if their faces are covered, adds to the effectiveness of the deterrent – no one wants to be ‘caught in the act’. Recorded footage, which can not only be used to identify burglars but can also provide evidence for prosecution and insurance purposes as required. 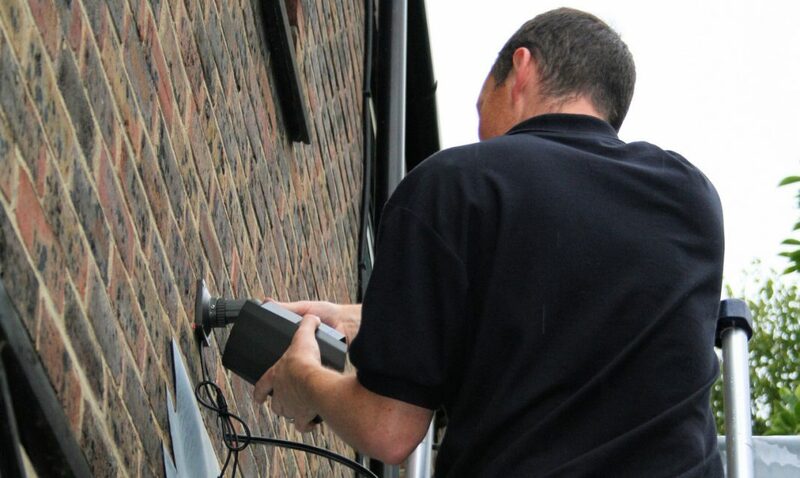 For particular advice about protecting all types of property, please contact security specialists SafeSite Facilities. Additionally, and in areas which could be vulnerable to spree burglaries, the presence of CCTV cameras on several properties across neighbouring streets can add an extra element to ‘neighbourhood watch’ – something which also deters burglars, because it means there’s nowhere to hide. This type of community CCTV also offers a means of keeping an eye on those members of the gang who are themselves ‘keeping watch’ in their vehicles, as they and their vehicle number plates may also be caught on camera. Other effective deterrents cited in the survey include surrounding fences and secured gates. These security measures not only protect against burglary but also other criminal acts such as trespass, arson, fly-tipping and anti-social behaviour taking place on your property. If the crime statistics in your area indicates any of these types of crimes, then it’s also time to consider protecting your property’s perimeter to create an active deterrent against other potential opportunistic crimes, as well as the act of burglary. Finally, informing yourself and taking action to deter burglars is relevant whether the property is a commercial premises or a family residence which is occupied or vacant. In fact, securing a vacant property, such as a property awaiting refurbishment or furnished accommodation awaiting next tenant, is just as important as protecting an occupied one as these too are a target for burglars hoping to remove valuable materials such as metals.